First let me appologize for my lack of entries... It's been for good reason let me assure you! My new assistant will start! Let's roll back to last Saturday for the week in review, shall we? After a day of cold crappity rain spent selecting movies to see (and buying tickets) during the Tribeca Film Festival, we, Dan & I, decided to go see V is for Vendetta. I go up to the turnstyle and he swipes the card through. "GO" flashes across the screen... I go. He hops in behind me and pushes us through! I was a little suprised...not what I'd expected. We amble to the subway platform. A tall, FUBU clad man comes up behind us and askes us to please take a seat. Dan, asks him why and who he was... and... well... he was a plain clothes cop. He'd seen Dan push us through and asked for ID to write us EACH (BOTH OF US???) a $60 ticket for being "PUSHERS." I asked him how he could write each of us a ticket when one person was paid for. He said the law is that since we BROKE the LAW, we each got $1 of that entrance fee and thus were BOTH delinquent! I asked him if I went home to get my monthly and showe him if it would make a difference. He compared our crime to that of murdering someone and then wanting to take it back. CRAPPY ANALOGY! We went on to the movies... V is for Vendetta - I liked it! See it in IMAX when at all possible! Of course... on the way home he pushed me through again (yes, WITHOUT prior discussion!) "He was doing his job, and I'm doing mine" was the answer to the look I gave. 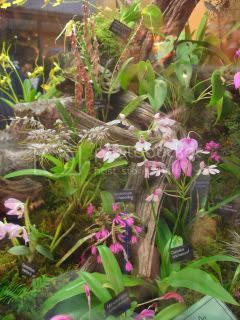 Sunday brought us to the New York City Orchid Show at Rockerfeller Center. Beautiful! 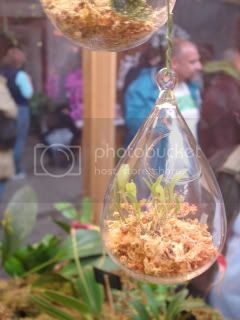 They had some lovely miniatures this year! 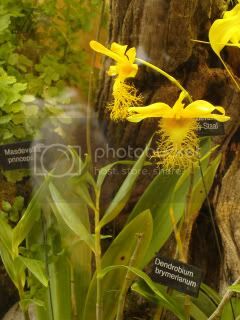 I bought an Ecquadorian orchid, a kind I thought my Mom wouldn't have, and mailed it to her as an early Mother's Day gift. 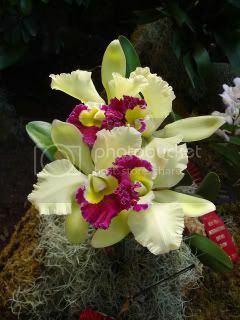 She's been growing orchids for a few yars now. Sunday evening was spent with college friends supporting a dear friend of ours at the wake of his father. My thoughts are with his family during this time of sudden loss. Monday night -- Dinner at my place with the girls. Always a treat! Followed by Tuesday night's dinner with Morgan followed by a YUMMY Hot Stone Massage at Graceful Spa. It's Spa week, so 50 minute treatments are $50 each! Yummy! The massage was great -- it's already an inexpensive place to get massages -- it's a no frills stop. It was interesting...I'd give it 3 out of 5 stars. It was 3 stories that all tied together. I enjoyed the first one most and my interest in them went down from there. More movies this weekend...and hopefully I'll pick up the sticks again! I've been Freecycling things - Spring Cleaning is well underway! Weeeeeeeeeeeeeeeee! I have bee traveling for nearly the last 6 weeks. I've noticed a few things in Asia, New York, San Diego and even LA... There seems to be a few things that have not been taught to ladies as they parade their spring best. 1. A little clip'll do ya! I know you are super excited to don your new trench coat...however, before you dash out the door... I BEG YOU - PLEASE cut the long, loose string that is holding the vent closed in the back. It's put there so the coat will stay neat and tidy while shipping. (The stores should really clip these before they put them out for sale.) Once it's on your body it simply creates a big-ole-hole in the back as you climb a set of stairs and does NOTHING for the shape of your backside. It'll take 2 seconds -- and I promise that coat will fall better over your curves! 2. A little clip'll do ya (2)! There seems to be an abundance of school girl pleated skirts running around this year... same rule applies as in #1 -- clip those darn strings and let those pleats FLOW! How can you do a Mary Tyler More spin without your pleats set free? Sandals... Toes. Toes hanging over sandals. Big ole' toes hanging over the front of your sandals...it's not attractive. The shoes are too small. Didn't have your size? It wasn't meant to be. Heels. Shoes. Heels hanging over shoes. Perhaps the saleswoman or your friends won't tell you the truth - but I will -- I don't care how adorable your shoes are from the front...from the back they look simply ridiculous. With one simple error in judgment you have instantly taken that cute outfit straight to ick. I feel your pain - very few shoes stores still carry my wee shoes size... that doesn't mean I wear them too big. We all do it -- let those pedicures slip away as we wrap our feet in soft and cozy socks for the long winter... Please...PLEASE... before donning your favorite toe-baring shoes - I beg you! Trim up the toe nails and take the last bits of that flaking polish off. Not everyone chooses to spend $$ on a pedicure - that's fine... No polish is fine - just keep them neat and tidy. However -- if you can afford it - treat yourself to a pedicure at the beginning of the season to start things off right - it's much easier to maintain through the season that way! You found a great pair of lacy boy shorts or tangas... they are both comfy and a little flirty? Wonderful! However -- DO NOT -- I BEG YOU -- wear them underneath that slippery flowy silky curve skimming dress. You may be saying OF COURSE, but I saw this last night at a benefit dinner here in NYC. Your pantyhose doesn't cover it up -- it simply holds it in place to show through the dress. I know your name tag says Vice President of some important place... it doesn't look very professional. 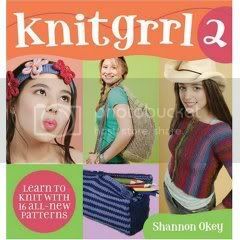 knitgrrl 2, Compiled and authored by Shannon Okey. I'm proud to say that I've two designs in this book, including the pencil case shown on the cover and the make-up bag inside. Yeah! 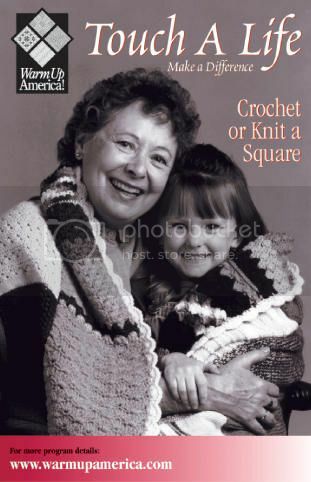 Now I'm working on designs for another book as well as a few magazine submissions... more on that later! Weeeeeeeeeee! I'm back from CA! The TV appearance went well as did the trunk show with thte wonderful folks over at the Village Hat Shop. Time spent with my dear friends in CA made it all the better! 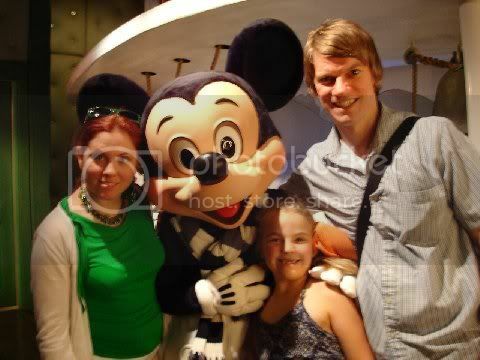 After all of the work was done, I met Dan's daughter and we spent a few days at Disneyland. A first trip for all of us! Fun was had by all! Now I'm looking forward to her visits ahead and the month this summer! It was also lovely to meet one of Dan's oldest friends. Hopefully we'll get to see her on her upcoing business trips to NYC! I'll replace the photo below with the non-fuzzy one from Dan's camera soon! Back to the pile of work that is awaiting me. NOTE: I'm still working on uploading all of the photos for the 9 posts still to come from the China trip... bare with me! Meanwhile some fun press news to share!! 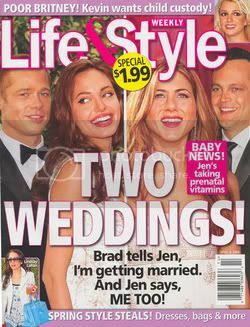 According to this weeks Life & Style (on newstands now) -- they think Madonna would look better in one of the hats from my Spring/Summer Betmar collection! Friday I'll be doing a live interview in San Diego on KUSI-TV (9/51) News at Ten with Andrea Naverson & Sandra Maas. I'll give tips on how to pick out the perfect hat! Then Saturday I'll be helping folks select hats at the Village Hat Shop - Seaport Village in San Diego! Sure to be fun!